On May 27 the 11th Circuit Court of Appeals affirmed that Kenneth Thomas (2010) (click here for earlier 2009 decision) is a person with MR/ID and should be spared execution as per Atkins. After a quick skim of the decision, it appears this, in my opinion, was the correct decision. Thomas had numerous IQ scores below 70 during his developmental period and clear evidence had been presented regarding significant limitations in adaptive behavior during his developmental period. This is a decision that appears to have been based on an objective evaluation of the facts and law and appropriate interpretation of SEM, and the AAIDD definition of MR/ID. My only minor point of contention is that courts should not calculate the arithmetic mean of a number of IQ tests to get an average score...as it is psychometrically flawed......calculating the average of standard scores requires formula that take into account the reliabilities of all tests, the SD's of all tests (if all the same this part of the calculations drops out), and the inter-correlations of all tests...before they can be mathematically averaged. Since this is often not practical or realistic, when faced with multiple IQ scores over time, a more defensible approach would be to determine the median IQ value as the best estimate of the person's average IQ. In this case it would not have made a difference..but, none-the-less, experts who provide advice to the courts should be familiar with this somewhat unknown no-no (i.e., averaging SS's). 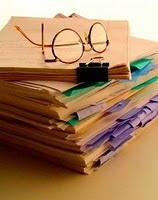 The field of forensic psychology has experienced remarkable growth over the past three decades. Perhaps the best evidence of this growth is the number of forensic psychology training programs currently enrolling students. Those interested in forensic psychology can choose from several types of programs aimed at different educational outcomes. In addition, opportunities for postdoctoral fellowships, continuing education, and respecialization have become increasingly more available. Despite the increased availability of forensic psychology training programs, there is little consensus regarding the core substantive components of these programs. This article will summarize the existing educational and training models in forensic psychology programs and then identify a core set of competencies that should be considered for inclusion in doctoral-level forensic psychology training curricula to adequately prepare students for the increasingly varied roles assumed by forensic psychologists. 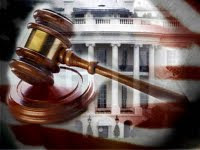 The article discusses the structure of a federal habeas corpus system in California relative to its capacity to prevent more violations of human rights. It examines the appropriate function and purpose of federal review of state convictions and its effectiveness in several petitioners' cases. It also introduces a reformed model of a habeas corpus which is designed to address the prevalence of constitutional violation. In the present experiment we examined whether eye blinks could discriminate between guilty and innocent examinees in a Guilty Knowledge Test (GKT). Based on the assumption that guilty examinees would experience more cognitive load when responding to the key items than to the control items, we hypothesized that they would display fewer eye blinks during the key items than during the control items. For innocent examinees, responding to the key and control items should be equally demanding, and no differences in eye blinks between key and control items were expected. A total of 26 participants took part in an experiment where 13 guilty examinees committed a mock theft (of an exam paper) and the remaining 13 innocent examinees went on with their normal business. All participants underwent a GKT whereby their eye blinks were measured. Both guilty and innocent examinees displayed the pattern of eye blinks that we predicted. The implications of the findings are discussed. that is being blocked by lawsuit of instruments author. Link below. Below is another guest blog post (by Kevin Foley) re: the recent denial of post conviction relief from execution due to mental retardation/intellectual disability. As per ICDP guest post policy, these guest posts are presented "as is" with additional URL links added by the blogmaster. Any guest post does not necessarily represent the opinions of the ICDP blogmaster. Kudos Kevin F for continuing to provide thought provoking guest posts. Do you have a guest post in you? Please contact me at iap@earthlink.net if you do. Is another “intellectually disabled” death row inmate due to slip through the cracks? Arizona inmate David Martinez Ramirez presented a Post Conviction Relief (PCR) claim in the Superior Court for Maricopa County seeking a ruling that he was exempt from the death penalty due to mental retardation. His claim was heard by a judge (not a jury) who denied his claim on the basis that Ramirez “failed to show by clear and convincing evidence that he is mentally retarded.” However, a review of the court’s opinion begs the question whether Ramirez would have prevailed had the burden of proof been the more common, “by a preponderance of the evidence” standard. The bottom line of Ramirez is that – with the application of the Flynn Effect – and considering the court’s statements surrounding the elements of a mental retardation (IQ of 70 or below, adaptive behavior deficits, and onset before age 18), Ramirez would have been found to be mentally retarded, except for the application of the heavy-handed “clear and convincing” burden of proof. While every case has different facts, and I cannot say beyond peradventure that Ramirez is intellectually disabled, it certainly looks like the outcome turned on the burden of proof. Is this what the U.S. Supreme Court envisioned – different outcomes depending on what state the person calls home? 1 Ruling, State v. Ramirez, Maricopa County Super. Ct. Case No. CR 1989-005726 (Apr. 4, 2007), rev. denied, Case No. CR-07-0177 (Ariz., Nov. 29, 2007) (unpub. ), cert. denied, 553 U.S. 1056 (2008). 2 Id. at 4 (n. 5). One could argue that the court would have reached the same conclusion even if the preponderance standard was used – in light of the court’s resolution of the Flynn Effect issue. However, the court appeared to resolve the Flynn Effect issue as an issue of fact, not a matter of law. This assertion is borne out by the court’s analysis surrounding the Flynn Effect and the court’s discussion of the different experts’ approach to using (or not) the Flynn Effect in calculating IQ scores and whether the WAIS-III manual recommends that it be applied. So it is equally arguable that the court would have applied the Flynn Effect if the preponderance standard was used, and the fact that it did not was because the clear and convincing standard was used. 4 Ramirez obtained an 87 on one testing, but the court seemed to reject this score because “the practice effect skewed and raised the score to 87”. Id. at 2. 5 Thomas v. Allen, __ F. 3d __, Case No. 09-12869 (11th Cir., May 27, 2010). At DPIC blog. The book "Last words of the executed". Insightful or wishful: Lawyers' ability to predict case outcomes. Goodman-Delahunty, Jane; Granhag, Pär Anders; Hartwig, Maria; Loftus, Elizabeth F.
Child psychopathy and protective factors: IQ and motivation to change. Salekin, Randall T.; Lee, Zina; Schrum Dillard, Crystal L.; Kubak, Franz A. Judicial decision making in timely and delayed prosecutions of child sexual abuse in Canada: A study of honesty and cognitive ability in assessments of credibility. Connolly, Deborah A.; Price, Heather L.; Gordon, Heidi M.
The hidden consequences of racial salience in videotaped interrogations and confessions. Ratcliff, Jennifer J.; Lassiter, G. Daniel; Jager, Victoria M.; Lindberg, Matthew J.; Elek, Jennifer K.; Hasinski, Adam E.
clutter the ICDP with info available elsewhere. includes link to copy of decision. Dr. Frank Gresham has graciously agreed to make his APA 2009 presentation "Intellectual Assessment in Atkins Cases and Use of School Diagnoses" available via this blog....via SlideShare. It can be viewed at the blogmaster's SlideShare account....click here. 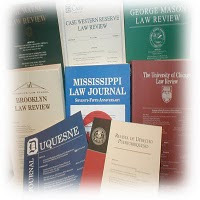 FYI: Miscellaneous news, law review articles, and info from the legal blogosphere. Findley on Cognitive Distortion and Conviction of the Innocent. Sundby on "War and Peace in the Jury Room: How Capital Juries Reach Unanimity"
In this Essay, we take the publication of the seventh edition of the casebook Social Science in Law (2010) as an opportunity to reflect on continuities and changes that have occurred in the application of social science research to American law over the past quarter-century. We structure these reflections by comparing and contrasting the original edition of the book with the current one. When the first edition appeared, courts’ reliance on social science was often confused and always contested. Now, courts’ reliance on social science is so common as to be unremarkable. What has changed - sometimes radically - are the substantive legal questions on which social science has been brought to bear. Reviews are specifically sought for instruments such as The Evaluation of Competency to Stand Trail-Revised, Gudjusson Suggestibility Scales, the Structured Interview for Reported Symptoms-2, Word Memory Test, Nonverbal Medical Symptom Validity Test, VRAG, HCR-20, WAIS-IV (MR determination), MMPI-2-RF, etc. This list is by no means exhaustive and more than one review for major instruments are desired. If in doubt about the suitability of an instrument for review, please contact me. I look forward to your contributions.